Today, the U.S. Supreme Court issued its opinion in the cases challenging the Patient Protection and Affordable Care Act (PPACA or ACA). The Court held that the ACA’s minimum essential coverage provision, commonly called the “individual mandate,” is essentially constitutional. Chief Justice Roberts joined Justices Ginsburg, Breyer, Sotomayor and Kagan to uphold the law. With the Supreme Court’s ruling, the ACA survives nearly entirely intact. The individual mandate requires every American, with a few limited exceptions, to purchase and maintain health insurance coverage. The Court held that the command to purchase health insurance itself was not within Congress’ power to regulate commerce; however, it held that the penalty for individuals who do not have insurance is a tax. The Court therefore upheld the mandate as a tax under Congress’ very broad power to tax This means that if an individual chooses not to purchase health insurance, he or she will simply pay a modest excise tax for going without insurance. The Court’s ruling also means that the provisions of the ACA that already have come into effect (for example, coverage of children up to age 26) will remain in place, and the changes due to take effect in 2014 will remain on track, including the individual mandate as well as federal government assistance for certain individuals to obtain coverage. The Court also ruled on the ACA’s expansion of Medicaid and the proposed funding for that expansion. While these are less directly applicable to the health coverage of most United Methodist participants, they are still being reviewed and studied..You can read the United Methodist News Service report here. In light of this ruling, GBPHB’s legal staff and the Center for Health will continue to review the ACA and the regulations and guidance issued under it in order to be prepared to implement all components of the ACA as they apply to the HealthFlex health plan. GBPHB will continue to provide information about the ACA to all annual conferences and the denomination, as regulations and guidance are published by federal regulators. After the U. S. Supreme Court’s ruling was announced, the General Board of Pension and Health Benefits of The United Methodist Church released the following, including the direction that Church annual conferences should continue to comply with applicable terms of the ACA and plan for the major changes coming in 2014.. 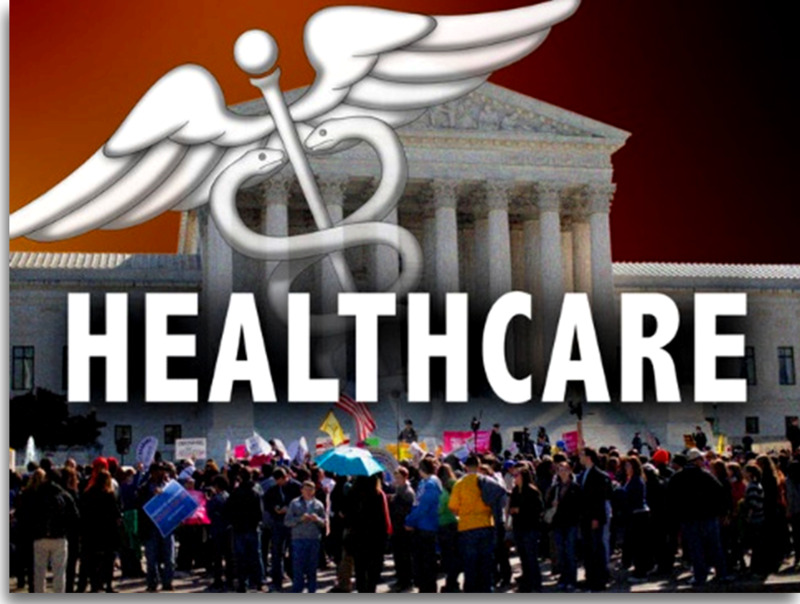 The U.S. Supreme Court today issued its opinion in the cases challenging the Patient Protection and Affordable Care Act (PPACA or ACA). The Court held that the ACA’s minimum essential coverage provision, commonly called the “individual mandate,” is essentially constitutional. Chief Justice John Roberts joined Justices Ruth Bader Ginsburg, Stephen Breyer, Sonia Sotomayor and Elena Kagan to uphold the law. The ACA survives nearly entirely intact. The individual mandate requires every American, with a few limited exceptions, to purchase and maintain health insurance coverage. The Court held that the command to purchase health insurance itself was not within Congress’ power to regulate commerce; however, it held that the penalty for individuals who do not have insurance is a tax. The Court therefore upheld the mandate as a tax under Congress’ very broad power to tax. Understanding the Mandate as a "Tax"
By upholding the individual mandate as a tax rather than purely as an exhortation or command of law, the Court eliminated the possibility that a person is “breaking the law” if he or she does not purchase health insurance or does not have health insurance provided by an employer or the government. Instead, a person who chooses not to purchase health insurance (or obtain it through the employer or government) will simply pay a not-so-large excise tax for going without health insurance. Employer responsibility (for employers with 50 or more employees) to provide affordable health insurance for its employees or pay a penalty. Church annual conferences should continue to comply with applicable terms of the ACA and plan for the major changes coming in 2014. The General Board will release helpful explanations (as applied to the unique structure of The United Methodist Church) of those impending provisions soon. The Court had to decide on several questions raised by the ACA’s challengers. Can the U.S. Supreme Court hear the challenge? First, the Court had to decide whether it had jurisdiction to hear the challenge to the individual mandate. A very old federal law called the Anti-Injunction Act prohibits federal courts from hearing challenges to federal taxes by taxpayers until that tax has been assessed and paid. The Court had to determine whether the penalty associated with the individual mandate (for not having insurance) was a tax, and whether the Anti-Injunction Act would then bar it from deciding the issue until someone pays an ACA penalty. The ACA describes the “[s]hared responsibility payment” as a “penalty,” not a “tax.” The Court held that because the payment is called a penalty, the Anti-Injunction Act does not apply. However, somewhat contradictorily, the Court also held that for the determination of whether this payment falls under Congress’ taxing power of the Constitution, the “penalty” label does not matter. This is sufficient to sustain the individual mandate. The Court reinforced that individuals can simply not comply with the mandate, and the only effect of not complying is that one pays the tax. Is the individual mandate severable from the remainder of the ACA? Third, because the ACA does not contain a severability clause that would expressly preserve other sections of the law if one section was struck down by a court, the Court had to decide whether the individual mandate was severable from the remainder of the ACA or, if it was not entirely severable, which provisions (possibly the whole law) would have to be struck if the individual mandate was struck. Because the Court held that the mandate was constitutional as a tax, it did not have to decide which other provisions of the law would be struck with it. Upholding the mandate as a tax rendered this question moot. Is the Medicaid expansion in the ACA too coercive on the states? The U.S. Constitution requires that states have a choice about whether to participate in the expansion of Medicaid eligibility; if they decide not to participate, they can continue to receive funds for the rest of the program. Four Justices dissented from the Court’s decision about the individual mandate: Justices Antonin Scalia, Anthony Kennedy, Clarence Thomas and Samuel Alito. The dissenting Justices would have held that the mandate was unconstitutional and that the entire ACA should be struck down with it. For now, the ACA will continue to be implemented as it was enacted. The individual mandate’s survival as a tax, rather than purely a legal command, may have a marginal impact on the legislation’s efficacy of drawing young, healthy individuals into the health insurance market. Over time, a less effective mandate may lead to greater insurance costs through the exchanges, but that remains to be seen. The General Board will continue to provide information about the ACA to annual conferences and the denomination, as regulations and guidance are published by the federal regulators. More about health care reform is available on the General Board’s health care reform webpage. Please send your questions to healthcarereform@gbophb.org. General information about health care reform is available from the federal government at www.healthcare.gov. This update is provided by the General Board of Pension and Health Benefits as a general informational and educational service to its plan sponsors, the annual conferences, plan participants and friends across The United Methodist Church. It should not be construed as, and does not constitute, legal advice nor accounting, tax, or other professional advice or services on any specific matter, nor does this message create an attorney-client relationship. Readers should consult with their counsel or other professional advisor before acting on any information contained in this publication. © 2012 General Board of Pension and Health Benefits of The United Methodist Church, Incorporated in Illinois.